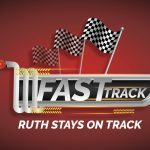 Read Ruth 4 with your group. 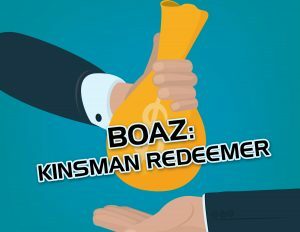 1) WHAT IS A KINSMAN REDEEMER? A: What’s that you’ve got there? Is that a phone? I’ve always wanted one of those. Can I have it? B: hmm… okay then, It’ll cost you though. B: I don’t have my phone anymore… I don’t know why, but I sold it. Now I don’t have any money to buy it back. C: Can I buy that phone off you? A: hmm… it’ll cost you. $200. If you want it, you’ll pay it. B: I don’t have any money to pay you back?! C: Don’t worry about it! B: Wow! That’s amazing thanks!!! Say: In the skit we can see that B (use name of person) made a silly mistake and lost out on something they loved – their phone! How amazing was it that C (use name) decided to help them and get it back. 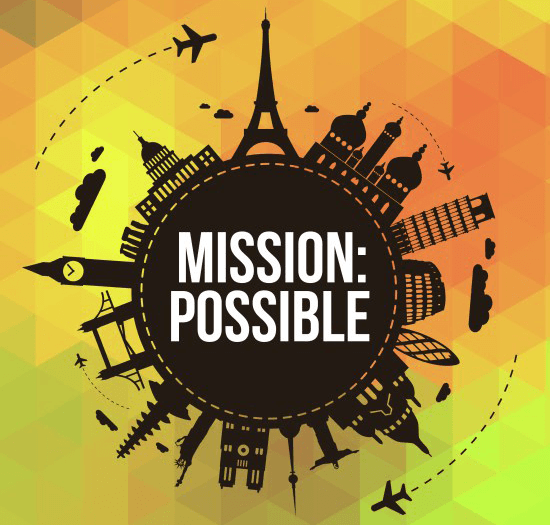 They used their own money to get it back for them – with nothing in return all they wanted to do was help. That’s what it means to redeem something. Someone who redeems something or someone gets back what was taken away . What’s a redeemer? (get kids to repeat until they remember = someone who gets back what was taken away). 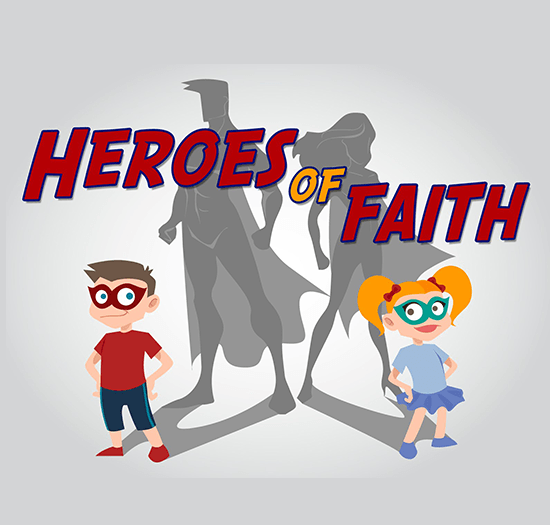 So who do you think redeems and is a redeemer in this story? 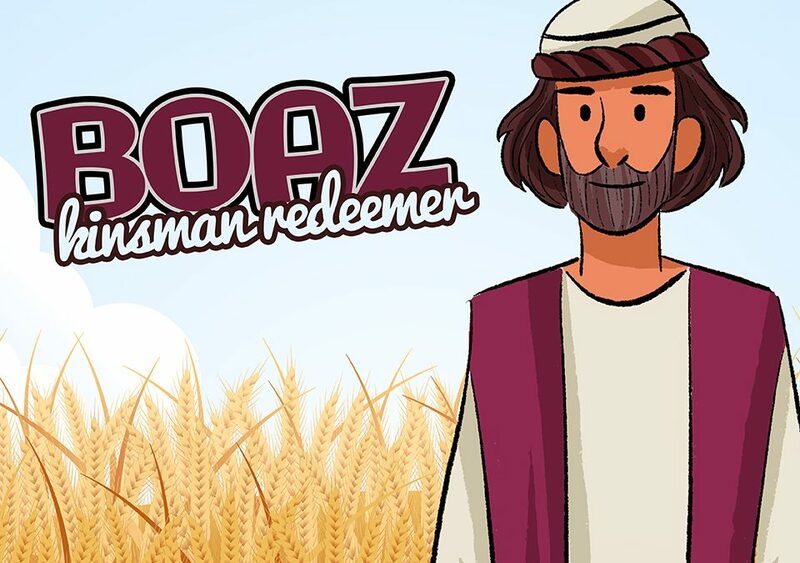 (get feedback) then hold up sign saying Boaz = Redeemer. 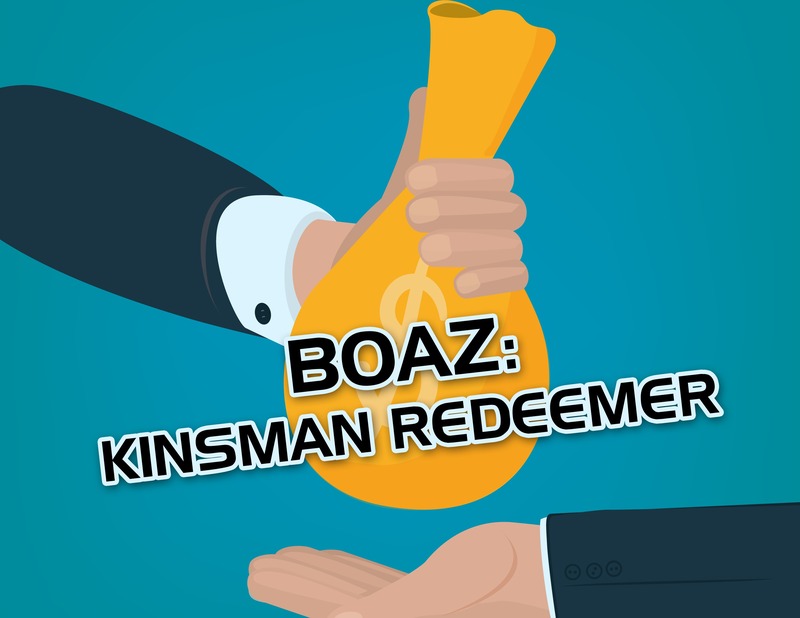 Naomi calls Boaz their kinsman or guardian redeemer. (Ruth 2:20, 3:9) A kinsman is a close relative. 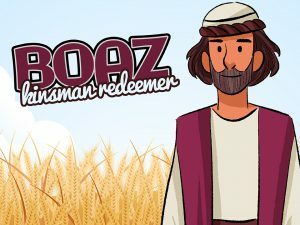 So Boaz was a close relative that helped get back what had been taken away from Naomi’s family. Their land. In marrying Ruth Boaz also gave back to Naomi’s family respect and honor in their community. As widows Naomi and Ruth may have been laughed at or treated badly by some people because they had no husbands to look after them. Yet Boaz married Ruth and they had a baby called Obed. There is also someone else that is OUR redeemer. Can you think who that might be? (get feedback) Yes thats right! Hold up sheet saying Jesus = Redeemer . Why is Jesus our redeemer? What has Jesus won back for us? 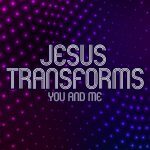 (get feedback) Jesus is the best redeemer because he won back for us our salvation, forgiveness from God, our righteousness (being right with God), our life! Hand all the children a scripture each. Then take them back and replace the scripture with a pretend $1 bill. Tell them they can only have the scripture back if they can give you $2. They will also get a candy as a result. See who is willing to be the redeemer. Isaiah 47:4. Our Redeemer, the LORD of hosts is His name, The Holy One of Israel. ! Psalm 44:26. Rise up, be our help, And redeem us for the sake of Your lovingkindness. Nehemiah 1:10. They are Your servants and Your people whom You redeemed by Your great power and by Your strong hand. Psalms 78:35. And they remembered that God was their rock, And the Most High God their Redeemer. Isaiah 48:17. Thus says the LORD, your Redeemer, the Holy One of Israel, “I am the LORD your God, who teaches you to profit, Who leads you in the way you should go. Job 19:25. As for me, I know that my Redeemer lives, And at the last He will take His stand on the earth. Lamentations 3:58. O Lord, You have pleaded my soul’s cause; You have redeemed my life. Psalms 103:4. Who redeems your life from the pit, Who crowns you with lovingkindness and compassion. Reward the redeemers with a small bag of candy. Discuss how although being a redeemer costs it is also rewarding. The children could have tried to get their own scripture/candy but chose to help a friend. It cost Jesus his life – yet he gained followers who loved him. Boaz paid for Ruth and Naomi’s land, yet he gained a wife and eventually a beautiful baby boy. It cost Boaz money to buy back Elimilech’s land. It cost Jesus his life to buy us back. Imagine being Ruth and having Boaz be your redeemer. How does it feel to have a redeemer? Think about how Jesus is your redeemer. How does this make you feel? Discuss. Get children to use colors of beads to make a wristband/necklace that reminds them of their feelings. They can take this home to remind themselves of the love that Jesus has for them. 1) Have some empty ‘dollar’ bill notes. 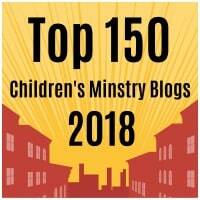 Ask children to write a prayer of thanks on them that Jesus would pay for their freedom, righteousness and salvation. 2) Create a tin foil cross with the word Redeemer scratched on. To do this cut out a piece of foam/cardboard in the shape of a cross and a piece of tin foil slightly bigger. Wrap the tin foil around the foam/cardboard. Children use a pen or something with a pointed edge to scratch into the foil. 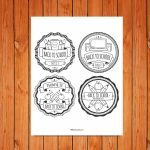 Kids can use this as a way to remember what Jesus paid to be their redeemer. !!!!! Pray a prayer of thanks for Jesus being our redeemer or pray for them.